A high-sugar diet is one of the primary causes of obesity, diabetes, depression, stress and anxiety issues. If you’re struggling with sugar there’s more you need to do in order to beat the habit than just staying away from sweet treats. To truly transition into a new healthy lifestyle, look into the motivation behind your patterns and understand how you’re going to create this new lifestyle so it becomes a healthy new habit! This Cheat Sheet contains a few tips and tricks to help you on your way. Afternoon salsa. Yes, the nacho can taste good and be nutritionally good too. Look for baked not fried corn chips, lay them on a baking dish, place a drained can of kidney beans over the chips, a jar of all-natural salsa, and sprinkle a small amount of cheddar cheese on top. Bake until cheese melts deliciously. Breakfast for afternoon tea. If you’re looking for something quick that provides energy and stabilises your blood sugar, think breakfast foods like eggs or oats. In less than 5 minutes, you can scramble and cook an egg and place it in a wrap. Top this off with some all-natural tomato sauce. If you crave something a little sweeter, try oats with frozen blueberries and a splash of pure maple syrup. Go crackers. There is a world of healthy crackers out there; wholegrain, brown rice, quinoa and flaxseed. These crackers can be found in the local supermarket and often in the ‘health food’ aisle. Often in this same aisle you will find low-sugar peanut butter spread, ABC (almond, brazil and cashew) spread, and other nut butters. Nut butters can provide essential fatty acids without added sugars, which is excellent brain food for teenagers in the throes of study! Munch and crunch. Tamari almonds aren’t just delicious they’re also a good source of protein and they have no sugar. You can purchase tamari almonds, nuts and seeds or you can simply make them yourself by sprinkling some tamari on a baking sheet, placing the nuts or seeds on top, and putting in a low-heat oven for 15 minutes. Power up with protein. To balance blood sugar when the afternoon slump hits try this simple protein ball. One cup of almonds or walnuts, ½ cup of seedless organic dates, ¼ of shredded coconut, and 1 teaspoon of cocoa powder. Place in kitchen whiz for 3 minutes. Roll into balls, enjoy immediately or refrigerate for tomorrow’s lunch box. Smoothie heaven. An afternoon smoothie in the kitchen blender can be made in less than 3 minutes. Combine frozen berries or frozen banana, 3/4 cup of organic milk, rice milk, or almond milk, and a splash of vanilla extract. Go tropical and try using 1/4 cup coconut milk for an inviting pina colada flavour change too. The yoghurt sundae. Create a creamy, sweet, eye-appealing sundae in minutes. Place a few scoops of natural yoghurt in a bowl, place berries and/or sliced bananas around the rim, add shredded or toasted coconut, and chopped nuts on top. For chocolate lovers, sprinkle with cocoa nibs. This snack surprisingly contains much less sugar than the typical store-bought fruit yoghurt! Skin creams, lifters, enhancers, fillers and smoothers. The cosmetic industry is a multi-billion dollar business. But do you realise that what you eat and drink is even more important to the look of your skin than all of the products you find at a cosmetic counter? Here’s a list of ways you can help reduce the signs of ageing. Eat antioxidant-rich foods. Antioxidants offset the free radical damage we are all exposed to in our day-to-day lives. To maximise your antioxidant intake, consume meals and snacks with plenty of colour. If your diet lacks fresh fruit and vegetables, your skin will be lacking in antioxidants and important phytonutrients. Aim to include two servings of fruit and five servings of vegetables in your diet every day; especially highly antioxidant foods like red and yellow capsicum, sweet potatoes, tomatoes, berries, broccoli and leafy green vegetables. Green tea is full of antioxidants too, as is ginger, lemongrass and cinnamon herb teas, which are very tasty chilled over ice! Get more vitamin C. Among other functions, vitamin C is a potent antioxidant that helps protect the body against free radical damage. It also plays a big role in tissue repair, the production of collagen, and maintaining the health of capillaries. Make sure you include citrus fruit and other sources of vitamin C in your diet, such as kiwifruit, lemon and capsicum. Research suggests that women who consume regular quantities of vitamin C are less prone than others to develop wrinkles and skin dryness that often accompanies ageing. Seek ‘smart’ fats. If you’re ready to boost your skin’s appearance, opt for smart fats. Smart fats are found in a number of nutritional fresh foods that contain omega-3, such as salmon, sardines and mackerel. The protein component of fish may also support your complexion. On your next visit to the supermarket look out for flaxseed oil, nuts and seeds, olive oil and avocados too. These types of fats are rich in linoleic acid, which may help improve the visual appearance and softness of the skin. Research indicates that consuming high levels of linoleic acid may help prevent age-related skin dryness, thinning and fine lines. For a radiant glowing complexion, avoid deep fried and processed foods, which may contain ‘trans fats’ that contribute to the body’s free radical load. Whenever possible, minimise your intake of saturated fats found in meat and other animal products. Dose up on zinc. Zinc is known to support the skin’s health in a variety of ways, including assisting with the formation of new collagen. Pumpkin seeds and oysters are rich in sources of zinc. Sleep well, stay hydrated and mind the sun. Early morning sun is often the best for you and hydration is essential for keeping your skin looking supple. Drink six to eight glasses of water daily, especially during the hot Australian summer. 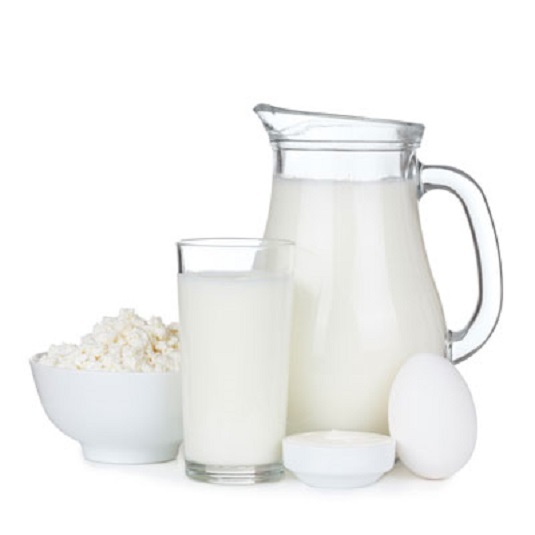 Protein is excellent for immune function, lean muscle mass, and even collagen in the skin. Some of us don’t eat meat or may decide to ease up our digestion with lighter proteins. Here are some plant-based proteins for you to consider as part of your daily diet. Beans (black , kidney, mung or pinto). The old saying is still true, ‘beans, beans good for your heart…’ They are tasty, can bulk up your soups and salads, and provide a feeling of fullness and satiation. Try a black bean chilli or a pinto bean burrito with 15 grams of protein per cup. Muesli. A common yet hearty cereal made from mixed rolled oats, coconut shreds, seeds and nuts, and sometimes dried fruit, muesli can provide approximately 8 grams of protein in one serve. Muesli doesn’t just have to be for breakfast, it can make a great post-training snack too. Quinoa. A grain-like seed, this little superfood contains nutrient-dense magnesium, complex carbs and lean muscle-building protein too. Quinoa can contain approximately 11 grams of protein per cup. This is the equivalent to the amount of protein in one egg. Tempeh. A healthy protein-packed alternative to its non-fermented cousin, tofu, this fermented soybean-based food makes great veggie burgers and doubles as a tasty meat alternative to meatballs in pasta or over brown rice and vegetables. Tempeh protein is packed at 24 grams per 4 ounces. Lentils. These are delicious, nutritious and easy to prepare. There are some excellent BPA-free canned lentils that can be tossed in a salad or peppered in a soup. They pack about 18 grams of protein per cup and are a wonderful source of iron and fibre. Peanuts. This potent protein is an ideal snack and is easy to carry in your briefcase, handbag or car. A 12 ounce serving (or about 25 nuts) contains approximately 7.3 grams of protein. You must watch your serving size on these savoury little crunchers though, as they are also high in fat. Tofu. This is made from soybeans and is a protein powerhouse that’s great in a good stir-fry. It’s often used as a meat or dairy substitute because it takes on the flavour of whatever dish it’s used in. Try tofu in a lasagna or a dessert-like cheesecake. Each 5-ounce serving is approximately 10.3 grams of protein. Add a bit of soy milk and serve warm or cold to add an additional protein punch. You don’t need liver-cleansing supplements to detox. Really, you don’t! People often think that cleansing their liver would be best supported by strict detoxing, fasting or limited calories, however just the simple act of eating whole foods can clean up your liver. We actually need nutrients to support the detoxification process that our bodies naturally like to do. The following real-food ideas can assist in the natural detoxification of your liver and other organs that might be on overload too. Go nuts! All nuts are full of amino acids and no sugar. Not only are nuts full of essential fatty acids, but walnuts in particular are high in l-arginine and glutathione, which can assist in detoxifying the liver and oxygenating the blood. It’s the walnut hull that is often found in liver-cleansing products that you can purchase in the chemist. Why not just eat them? Sidestep alcohol and fructose. Fructose is very hard on your liver, much the same way as drinking alcohol is. Fructose is converted into fat that gets stored in your liver and other tissues as body fat. If this is consumed in excess this can lead to non-alcohol fatty liver disease (NADLD). When the liver becomes dysfunctional, we lose our metabolic powerhouse. Love a grapefruit. This yellow or rosey-hued fruit is rich in vitamin C and antioxidants, which are excellent at cleansing the liver. One of the flavonoids in grapefruit, naringenin, contains a compound that makes the liver burn fat rather than store it. Why not squeeze some into your sparkling water today? Befriend onions and garlic. Foods rich in sulphur containing compounds are one of the primary types of molecules used to help the liver detoxify a wide range of toxins. Food like onions, garlic and eggs yolks come under this category. Garlic contains allicin and selenium, which are proven to help protect the liver from toxic overload. Do your best to buy Australian-grown garlic and organic eggs. Go green. Green tea has antioxidant properties and is loaded with catechins.Catechins are a type of plant antioxidant that have been known to eliminate fat accumulation and promote proper liver function. It also protects against toxins that can cause serious liver damage. Spice it up. Turmeric has increased in popularity. Everyone wants this little spice as its proven much of its beneficial properties in research studies. It’s shown to protect the liver against toxic damage and even regenerate damaged liver cells. Turmeric also boosts the production of bile and hepatic dusts, which is beneficial to those who have gallbladder issues.